The government-run Xinhua news agency said the mission, which has been scheduled for launch in 2017 for some time, is on track for liftoff from the Wenchang space center on Hainan Island in November, citing sources at the China Aerospace Science and Technology Corp. The Chang’e 5 mission will attempt to retrieve the first lunar surface samples for return to Earth since the Soviet Union’s robotic Luna 24 mission in August 1976. The eight-ton (8.2-metric-ton) spacecraft will launch on a Long March 5 rocket, one of the most powerful boosters currently in service. The Long March 5 made a successful maiden flight last November. Chang’e 5 will touch down on the moon, gather samples for delivery into a capsule on top of a small rocket, and the ascent vehicle will blast off to dock with a return module loitering in lunar orbit. The return capsule, protected by a heat shield, will separate from the Chang’e 5 carrier craft on the trip back to Earth for a high-speed atmospheric re-entry and parachute-assisted landing. Scientists and recovery teams will be on standby to pick up the samples after the mission, which is expected to last several weeks. A demonstrator probe launched by China in 2014 validated the technologies needed for a re-entry at interplanetary speeds. China’s crew-carrying Shenzhou capsules come down at slower speeds and encounter less extreme heating when returning to Earth from orbit several hundred miles up. “The development of Chang’e-5 has entered the end of its flight model phase, and relevant work is proceeding smoothly, according to CASC,” Xinhua reported. China’s unpiloted moon missions began in 2007 with the launch of Chang’e 1, the country’s first lunar orbiter. 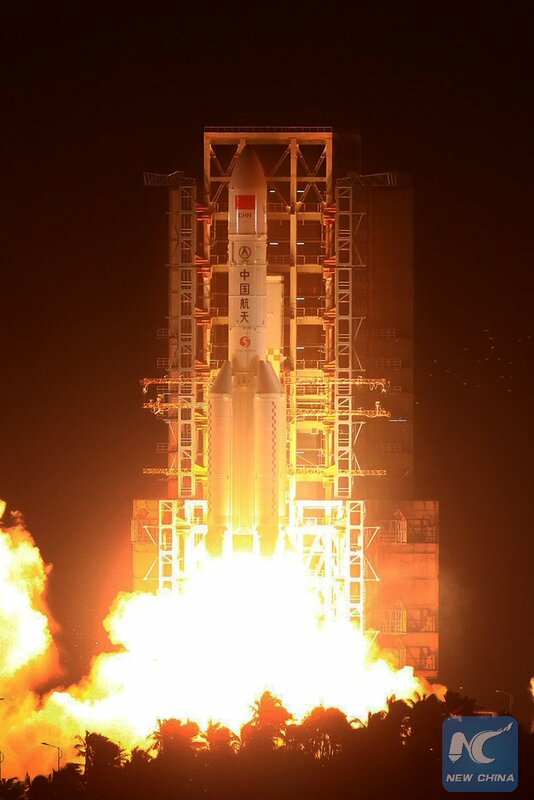 The Chang’e 2 orbiter followed with a launch in 2010, and that spacecraft departed the moon’s vicinity after completing its primary mapping mission, conducting China’s first flyby of an asteroid in December 2012. The Chang’e 3 lander took off in December 2013 and made a soft touchdown in the moon’s Mare Imbrium region, deploying a mobile rover that spent several weeks driving across the surface. The Chang’e missions are named for a moon goddess in Chinese mythology. Future Chinese lunar projects include Chang’e 4, a copy of the Chang’e 3 lander and rover, which will attempt the first-ever landing on the far side of the moon in 2018. China is developing a deep space communications satellite to relay commands and science data data between ground controllers and Chang’e 4, which will be out of reach of ground-based antennas after landing. A duplicate of the Chang’e 5 sample return craft, tentatively dubbed Chang’e 6, could try for a rock retrieval mission on the far side of the moon in the early 2020s, assuming the near-side sample return goes well, Chinese officials said last year. 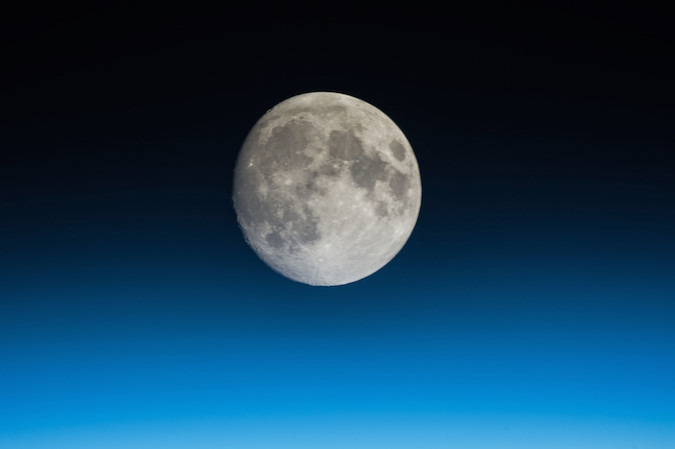 Chinese officials are discussing the possibility of sending astronauts to the moon, but the country’s near-term human spaceflight program has emphasized the construction of a permanently-occupied space station in Earth orbit, with completion of the outpost expected by 2022. China is also developing a Mars rover to launch in 2020 on the nation’s first robotic expedition to another planet.